A Natural Deodorant That Works Brilliantly From Piper Wai! I”ll admit the one natural thing I struggle to include in my days given that I live in the very hot Los Angeles and I am very active and running around (literally) a whole lot: natural deodorant. I have tried and failed with several “so great” alternatives. Basically, it was a tough but necessary decision to forego the natural… until Chantal Moore introduced me to the brilliance of truly effective natural deodorants! 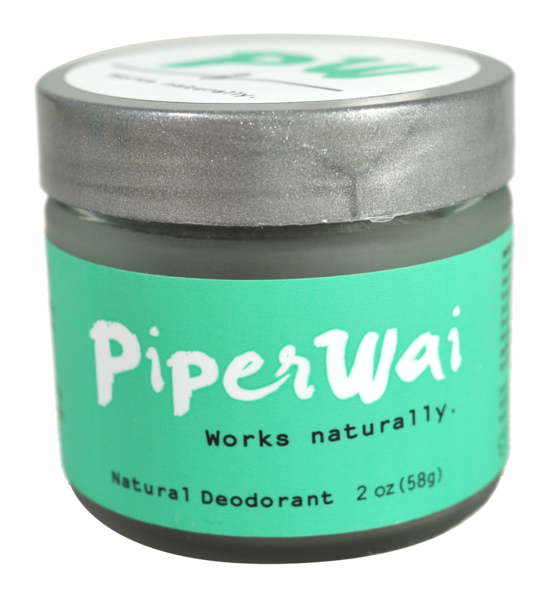 From Chantal: “I have been testing out PiperWai Natural Deodorant for a couple of weeks now. I have tried all the natural deodorants. Trust me. I’ve been using and have written about Schmidt’s Deodorant which I love. I can’t live without the Lavender stick. I love the scent. When I heard about PiperWai from a friend I had to try it. This PiperWai Charcoal Creme deodorant is spectacular. Everything you look for in a natural deodorant is here. The only downside for me was that I had to remember to really use just a pea size amount and to massage it in completely in order for it to disappear into the skin. It’s an olive green color so if you’re about to put on a white top- be aware. It’s been keeping me dry and cool during hot LA Summer temperatures and hasn’t failed me once. It has a soft velvet, powdery texture. It soothes the under arm skin and I think this would be great for sensitive skin. The scent I was really worried about. I ordered it online with no preview but I love it. The PiperWai blend of flower extracts and essential oils creates a clean, fresh, slightly woodsy, truly unisex scent. The formula is vegan and 100% plant based. Previous post: 5 Feng Shui Ideas To Create More Flowing & Fulfilling Prosperity! Next post: Clear Your Energy & Start Radiating Higher Vibes Starting Right Now!